PhotoSailing Event Photography is being updated. In the meantime do Email Ian if you are looking for image of a particular event or boat. The photographic prints shown are a small selection of the thousands taken, and represent a flavour of the action - or non action in some cases - of the yachting events I cover. Only the most recent events are shown on the website but there are thousands of archived images available. I have had the pleasure - and some discomfort - in capturing these fine art photographs and posters. I hope you enjoy them. If you are an owner or crew wishing to purchase a photograph and can't find a picture of your boat shown, please do Email PhotoSailing.co.uk Here and we will happily search our full edited portfolio of a particular event for your boat. Please give your boat name, colour of hull, and sail, any identifying details and the sail number please. Better still, prior to the event, email me with these details and I will keep a look out for you! 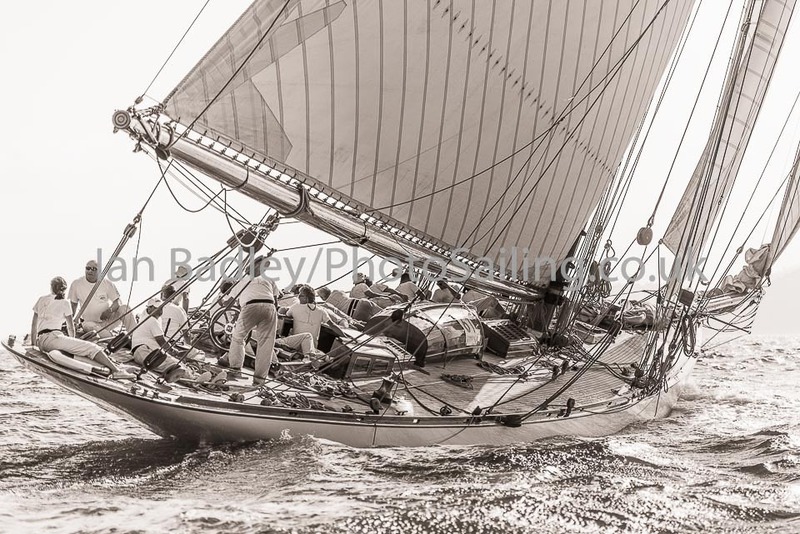 These photographic prints taken at various sailing regattas including Aberdeen Asset Management Cowes Week; JP Morgan Round the Island race, Panerai British Classic, Panerai Regattes Royales, Voiles de Saint Tropez, Pendennis Cup and the Panerai Antigua Classic week, plus other RORC events such as the infamous Fastnet race, events capture the thrills, sea spay and conditions of individual yachting events and will showcase wonderfully on the wall of your home, office or business.